The liquid bourbon ball is a perfect dessert drink for whiskey lovers. It is not the typical chocolate cocktail filled with super sweet or creamy ingredients, either. Instead, it has a drier, very smooth taste with just enough sweetness to make it slightly indulgent. The recipe comes from "The Woodford Reserve Culinary Cocktail Tour," a food and cocktail book published by the distillery. It's one of the many modern cocktails that put a spin on classic style. In fact, with its sophisticated approach, you might even think of it as a chocolate Manhattan. The chocolate and hazelnut liqueurs are great flavor pairings for Woodford Reserve's complex profile, creating an utterly delicious drink you will not forget anytime soon. Pour the bourbon and liqueurs over ice in a mixing glass. The recipe calls for white crème de cacao, though you can certainly use the dark version. The cocktail's color will change ever so slightly, but the difference in taste will be nearly indistinguishable. For the hazelnut liqueur, Frangelico is the best-known brand. There are other options available; Fratello and Gabriel Boudier are two of the better options that rival the taste of Frangelico. To make chocolate shavings, you can simply use a chocolate candy bar and a vegetable peeler. Make sure the chocolate is at room temperature, then run your peeler along one of the edges to get thin curls of chocolate. This recipe was created by Woodford Reserve, so it's only natural that it's the recommended whiskey. However, it's an enjoyable cocktail with almost any other bourbon. The key is to find one that's also full-flavored but not overly bold. To start, good choices may be Angel's Envy, Buffalo Trace, and Old Forester. There are options for chocolate liqueurs as well, though they're all going to be slightly different than crème de cacao. Primarily, you'll find bottles like Godiva, Dorda, and Mozart, which tend to be creamier and your liquid bourbon ball will reflect that difference. As an alternative to hazelnut, use amaretto instead. You'll be switching from a hint of hazelnut to one of almond and it creates an equally delicious cocktail. How Strong Is a Liquid Bourbon Ball? 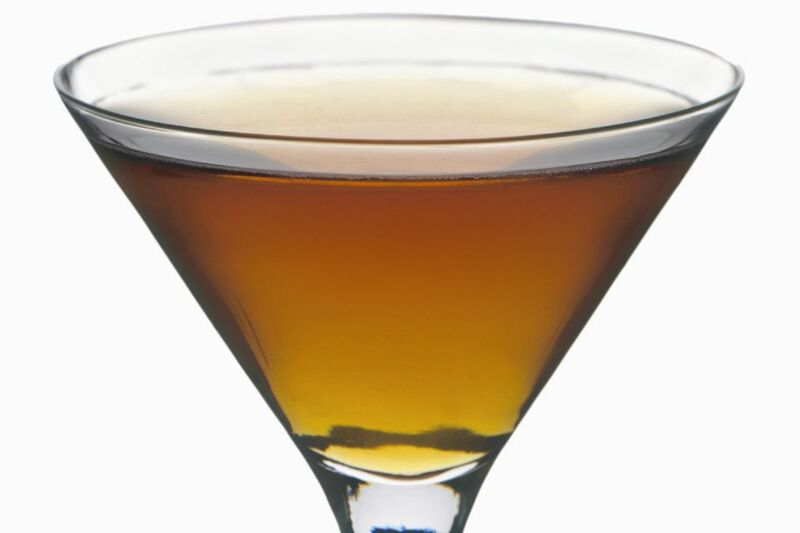 The liquid bourbon ball is a delicious cocktail, but its alluring taste is also quite deceptive. It's a pretty strong drink, which should be obvious given the fact that it's made entirely of liquor. You can expect this one to have an alcohol content around 27 percent ABV (54 proof). It's average for cocktails of this style.